The ‘social’ component is what made social media the phenomenon it is today. As communicators, we should not lose sight of the original purpose of social media – to be a platform for connecting people using real life stories and shared interests. If we understand this, and use social media as a storytelling tool, then our chances of success on the platform will be high. For christian ministries and nonprofits, storytelling is not something new. 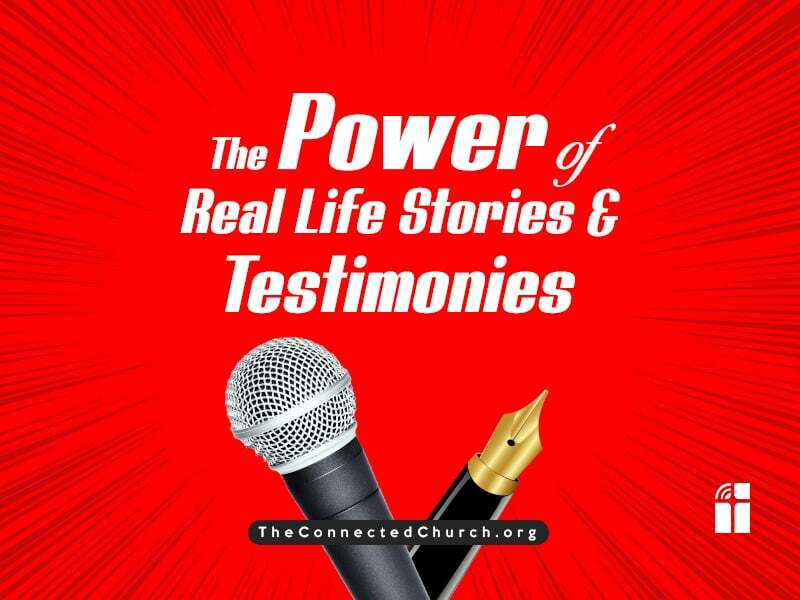 The very foundation of Christian faith lies in sharing stories, experiences, God encounters, Bible history and everyday testimonies with each other. Church as an institution, has been built on the culture of collecting and sharing real-life stories in the form of testimonies, prayer points and praise reports. So, the basic framework of social media as a storytelling platform is a perfect fit for the communication culture of the Church. Stories help you as a ministry to move people through your audience funnel and enable them to take action related to your promotional campaigns Eg: By listening to a story of a donor and the impact the donation had on the community/cause, general followers might want to move down the funnel and become a partner for your ministry, thus helping you serve more people. 1. What kind of stories are you looking for? What kind of stories do you want to collect and share on social media as a ministry? In what format would you like to collect them – video, audio or written format? What should be the duration or length of each story? Do you have a script or questions that people can answer? Do you have a list of parts in a story that you specifically looking for? Eg: when people share a story on healing, you might specifically want them to talk about a Bible verse that helped them. Are there any parts in a story that you wish to avoid? 2. How are you going to gather/collect/record these stories? The next step is the ‘how’. It will be good for you to think ahead about the actual process and workflow of collection or gathering the stories from people. Is it going to be online? If so, what kind of technology setup do you need? Do you need a tool? An app? Is it going to be offline? If so, what kind of printed material or accessories would you need? 3. When is a good time to collect stories? A big question in the testimony collection process is the ‘when’. Timing is crucial. Your goal should be to make it as comfortable, as convenient and as easy as possible for people to share their stories. After an event – People are generally happy to share their experiences after an event. Eg: New year service or a convention. In a set place and facility – You can think of setting up a ‘testimony room’ or a ‘sharing corner’ in your church, where people can go any time and record their story. Having a regular place or facility will encourage people to think about the story ahead of time and come prepared without being under pressure. On social media – When you ask people to share their stories on social media, it not only gets you the content, it also gives them an opportunity to share their story publicly with their own network of friends and family. This can be an added motivation for people to share their story. Via non-digital channels – You could create facilities for the less-tech-savvy to send their stories and testimonies via traditional post or by dropping it in a box in your church premises. Then you can digitise it for social media through transcription and repurpose it in a way that is suitable for the online audience. Carefully consider privacy implications and regulations like GDPR, when you collect and use stories and testimonials. Since this involves the private life of people, make sure you have required consent and permissions. The person sharing the story must give you their consent fully understanding how you intend to use this as part of your communication plans. Look out for sensitive information within the stories and if need be, send the content through a quality check and editing process multiple times. The last thing you need is someone being upset about the way your ministry has shared their story publicly online. What has been your experience in sharing real-life stories on social media? Do you have any specific questions or comments on this topic? Share them using the comments section below. Thanks.